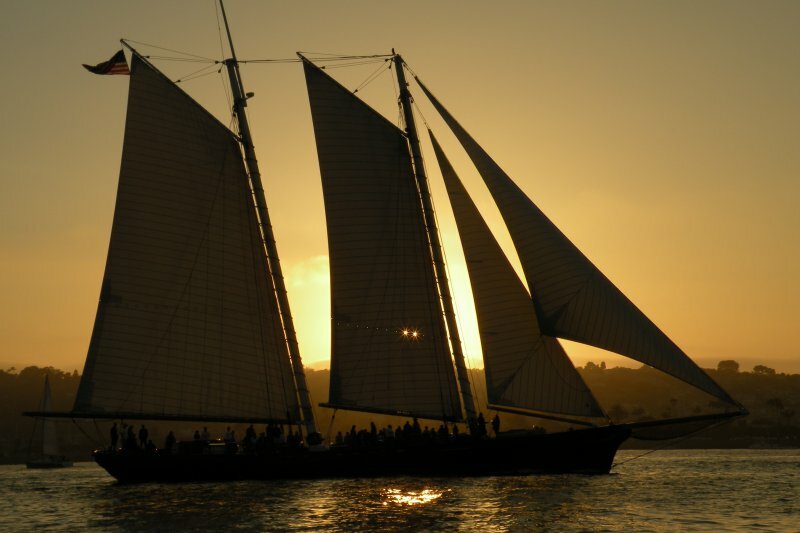 On November 4-8, GulfQuest/National Maritime Museum of the Gulf of Mexico will host the Schooner America, a replica of the racing yacht that won the first America’s Cup sailing competition in 1851. This will be the longest stop on the America’s tour along the Gulf Coast to promote the 2017 America’s Cup in Bermuda. GulfQuest will host the ship for five days, and has scheduled a full roster of events for the general public and for GulfQuest members only. The America’s captain, Troy Sears, will also visit area yacht clubs where he will give presentations on the storied history of the America’s Cup and an inside look at what to expect for America’s Cup 35 in Bermuda. The original America put yachting on the map and is the world’s most famous racing yacht. In 1851, the America won the Royal Yacht Squadrons’ 100 Guinea Cup given to the winner of a race around the Isle of Wight. The winners, members of the New York Yacht Club, donated the trophy to the club, to be held as a “challenger” trophy. Thus was born the America’s Cup, named after the boat. During the America’s visit to GulfQuest, the public is invited to tour the ship dockside, or take a rare journey onboard during afternoon/evening sails. Dockside tour tickets, which include access to the America and to GulfQuest, are $21 for adults 18-64, $20 for ages 13-17 and seniors 65-plus, and $18 for children ages five-12. Children under age five are free with paid adult admission. GulfQuest members pay only $6 per person. Reservations are not required for the dockside tours. For GulfQuest members, Captain Sears will give a multimedia presentation on Friday, Nov. 4, titled "Past, Present and Future of the America’s Cup." This robust presentation covers the oldest competition in sports, including the use of multi-hulls, the venue selection of Bermuda, an overview of the Cup’s history, and a chance to relive the dramatic comeback of America’s Cup 34. Additionally, Captain Sears will give two STEM (Science, Technology, Engineering and Math) talks to area students during the ship's docking at GulfQuest.